I think it’s time to upgrade my camera! Ah… I love this post, Diane. Made me smile in wonder and appreciation. Thank you. Our goldenrod is just coming into bloom now. I will go and watch for all this wildlife. Thank you. Wish I had more like them. It’s an art, learning to walk/see with camera. 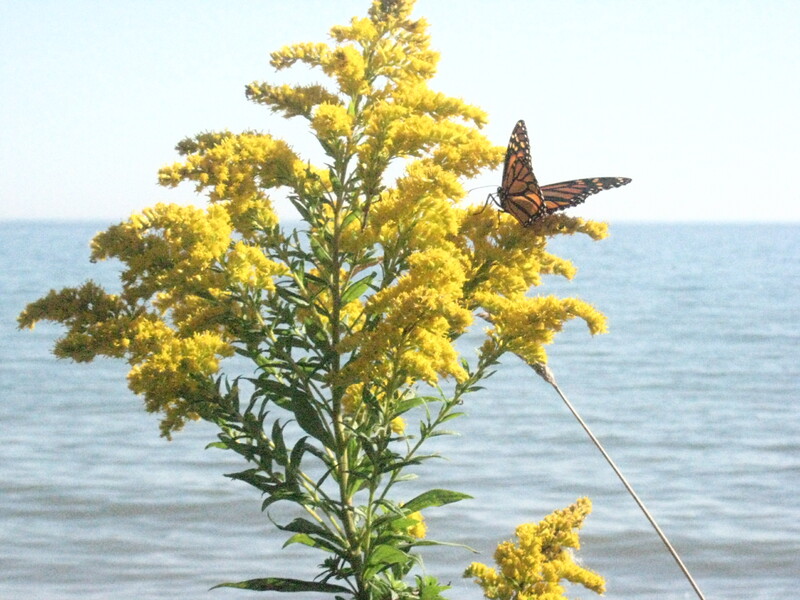 So nice to be reminded of the beauties of goldenrod. It was a big part of our summers growing up, but I haven’t seen it in many years. Thank you! Nostalgia for the landscapes of former times – I understand that well! I almost jumped the goldenrod gun and said “What, that is not the culprit” but, alas, your connections are on the path so was glad to hear the nasty RAGWEED emerge. Poor old ragweed! “Must be good for something”, I thought as I reached for my herb book, and discovered medicinal uses for the roots, and tea from the leaves! Beautiful, Dee. I was right there with ya, enjoying every golden moment! Kathy, so nice to have your company! You write with deep feeling and observation sparkling with good nature and hope. I’m not sorry! 🙂 We live on an amazing planet. Most of it is ocean, where you now live and breathe and see new wondrous things (and make me a little jealous). I love this wildflower which grows everywhere in Latvia, as well. Up to now, I just didn’t know its English name. Thanks to your poetic story, I will know it. I noticed it was added to bouquets here in Canada. We would just most often put it in a vase with some simple tree branches or other wildflowers or wild berry stems. It was great the story came with a picture. Thanks! How interesting the golden rod thrives in Latvia, too! Diane, I love how you went home and got your camera. I can relate to this well. These are lovely, lovely pictures with an intriguing lesson too. Thanks, Wendy. And you are a pro with your camera – a real enrichment to your posts. Happy you got the considerable pics.. Thank you. You have a great website, with focus on Indian wildlife. Good luck! Another lovely lesson from your wise observations. 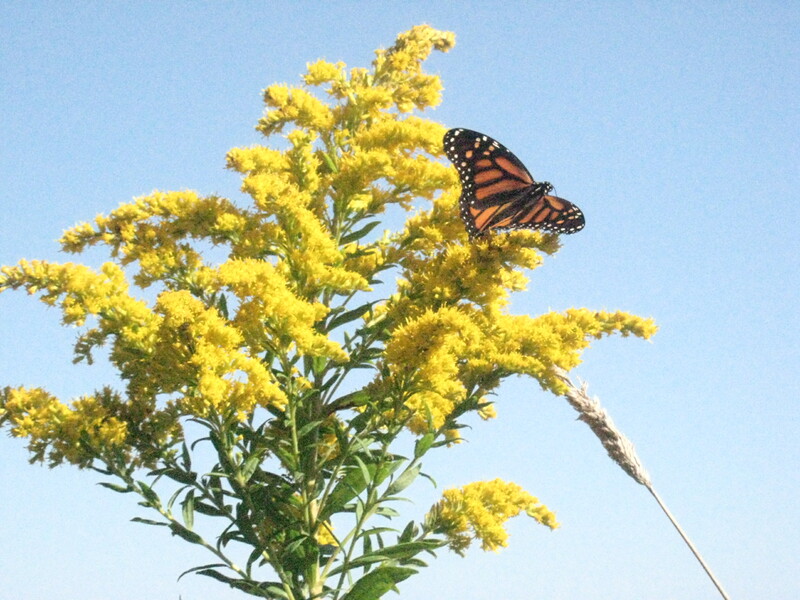 How wonderful to learn that rather than causing you an allergic reaction, the goldenrod was providing you sweet honey.